“There is Igho Majemite. There is Wilson Oki. These are all known thugs in Uvwie. I don’t know who sent them to assassinate me. "But I was lucky because the bullet grazed through my right ear. If I was not lucky I would have been dead. Two bullets were shot at me; one was shot by Ayeye and another bullet was shot at me by Ngozi and also, my brother was shot. This is according to Senator Omo-Agege representing Delta Central at the National Assembly, describing how him, his wife and some top APC members escaped assassination. The attack, which occurred on Saturday, is believed to be an assassination attempt on the senator when he visited the Effurun Market located along the popular PTI road during the second phase of his constituency empowerment programme in Effurun, Ekpan and Ugberikoko areas of Uvwie. The incident created panic as market women and motorists left their vehicles and scampered for safety. 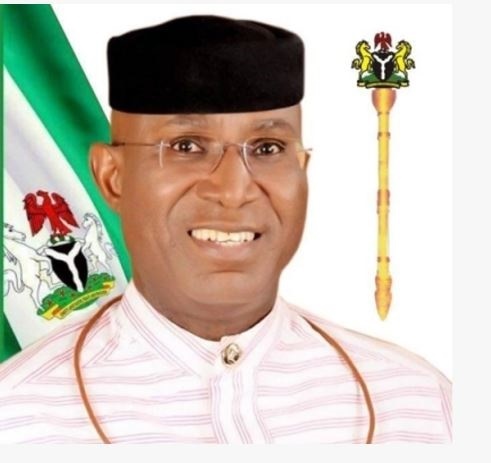 Senator Omo-Agege said, “Also, we have one of my supporters who was almost killed at Ekpan market all in the presence of police officers who could not even effect any arrest. I have taken a first step by filing a report with the Ekpan Police Division. I have equally spoken with the State Commissioner of Police. “I will take it to the highest level. All I seek is that these undesirable elements who are out to assassinate people are removed from the system. And I will go to any extent to see to this. You cannot attempt to kill a sitting Senator of the Federal Republic of Nigeria. I refuse to read any political motivation to this. I’m not in any way saying that there is none. The Police Commissioner, Mr Zanna Ibrahim, confirmed the attack on Senator Omo-Agege on Sunday. Ibrahim added that preliminary investigation into the incident has commenced.